RemoteToPC is a remote support tool that helps IT people do their jobs. There are three main components to it: Monitoring, Alerts, and Remote Access. IT consultants, and some corporate IT staff often need to support computers that are not at the same facility they are at. They are either across town, or across the country. 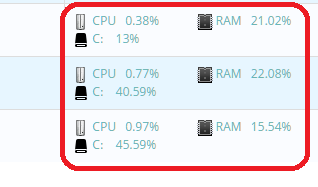 No matter where the computers they need to support are located, when they install RemoteToPC on those computers, the hardware components (CPU, RAM, and Hard Drive) are monitored, and the computer’s desktop becomes accessible to RemoteToPC. 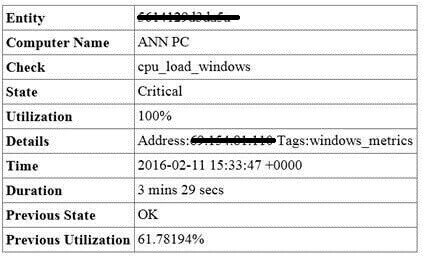 This alert notifies the IT person that ANN PC has a CPU utilization at 100%. That’s a problem. Instead of Ann having to call later in the day after she is frustrated with her computer going so slow all morning long, the IT guy is right on top of it, being proactive about keeping the customer/user happy. The last part of what RemoteToPC does is Remote Desktop Access. It does not matter where the computer is. It can be on the other side of the world, and behind a corporate firewall (a device that companies have to keep their company network private and protected) As long as there is a way to get to that computer on the internet, then RemoteToPC will get through the firewall, and allow the IT person to have secure, and safe Remote Desktop Access to that users computer. This last image might be hard to decipher what is going on, but it’s a snapshot of a local computers screen. 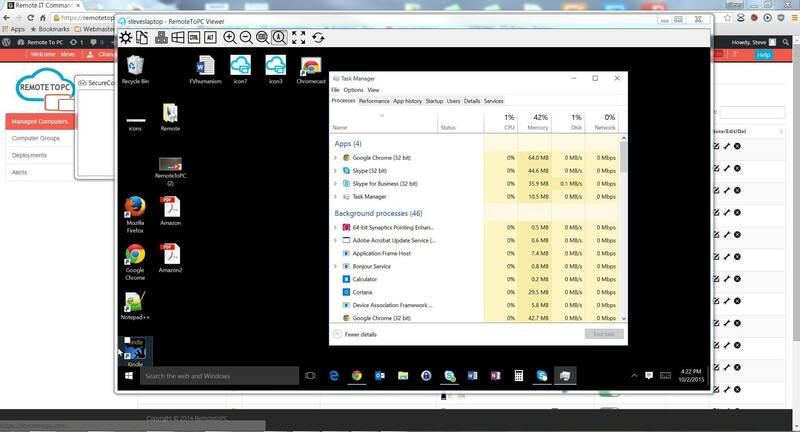 The black windows that is on top is RemoteToPC’s Remote Desktop Access tool, which is logged into another computer, allowing access to work that computer, just as if you were in front of it yourself. There are a few other things that could be explained about RemoteToPC such as the heartbeat monitor, deployments, and other things, but this document has covered the main parts of what RemoteToPC does: Monitoring, Alerts, and Remote Access. RemoteToPC, is a remote support tool designed specifically for IT people.